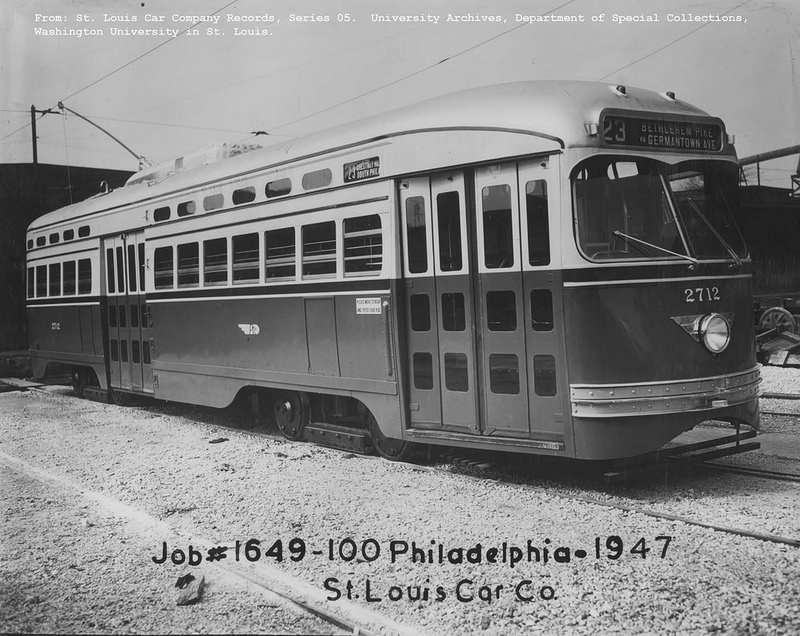 On July 21, 1944 Philadelphia Transportation Company placed an order for 100 PCC cars with St. Louis Car Company. 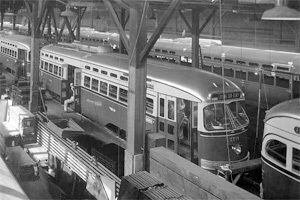 These were in addition to the 260 PCCs already in service that had been ordered by PTC in 1938, 1940, and 1942. 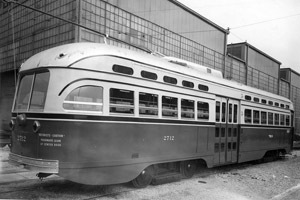 Due to wartime manufacturing restrictions, fabrication of the 2700 series streetcars did not occur until February-April 1947. 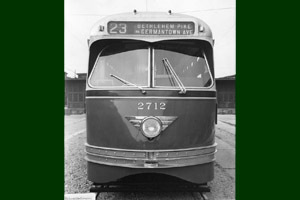 In 1944, one hundred trolley cars were needed to serve Route 23 on Germantown Avenue. 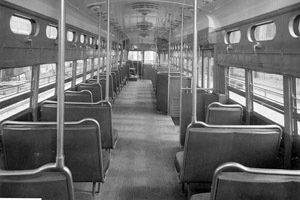 By 1947, only eighty-five were needed for Route 23, so fifteen were assigned to Route 42 on Spruce, Chestnut and Walnut Streets. 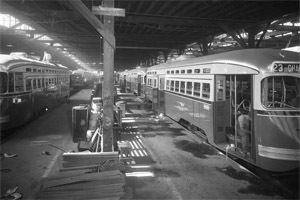 PTC paid $20,944 apiece for these streetcars in 1947. 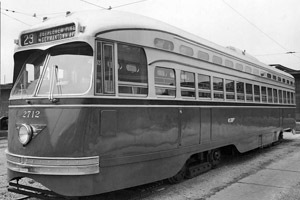 Adjusted for inflation, each car cost $216,222 in 2012 dollars. 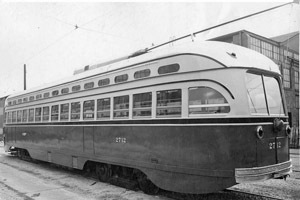 rebuilt as PCC-IIs on Route 15 Girard Avenue. 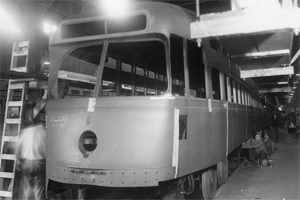 In 2004 this car, 2712, was sold by SEPTA to Brookville Equipment Corporation where it sits rusting in a field. 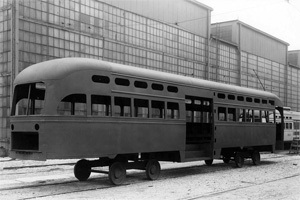 St. Louis Car Company PCC trolleys featured an all-welded steel body: no rivets mar the sleek surfaces.